(HealthDay)—Science says you can get your coffee buzz without fear of cancer, so experts say you can forget that recent controversial California law. Last Wednesday, a Los Angeles judge ruled that coffee shops such as Starbucks or Dunkin' Donuts must caution customers that coffee contains acrylamide—a potential cancer-causing chemical that forms as a byproduct of roasting. Acrylamide is also found in fried foods such as french fries, and in cigarette smoke. 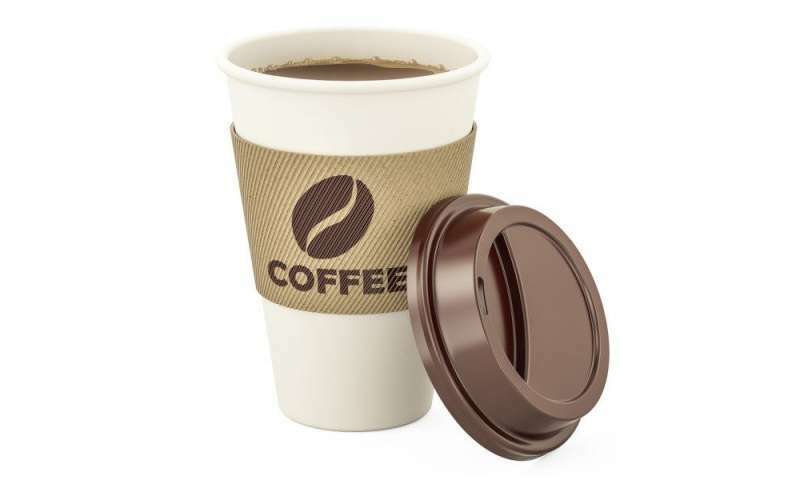 Finding on behalf of the plaintiff, the Council for Education and Research on Toxics, Judge Elihu Berle said that coffee companies failed to prove that the amount of acrylamide in coffee was safe—or that coffee has health benefits. But Dr. Len Lichtenfeld, deputy chief medical officer of the American Cancer Society, said coffee lovers still have grounds to stick with the beverage. The judge's decision may follow the law, Lichtenfeld said, but it stands in opposition to the science on the subject. "To me, this whole issue is really much more legal than medical," he said. In large quantities, acrylamide is a known cancer-causing chemical according to results from tests with rodents, Lichtenfeld explained. Based on these tests, acrylamide is also likely carcinogenic in humans when consumed in large amounts, he said. However, the key issue is dosage. "There is no good human evidence to show the amount of acrylamide in coffee causes harm to people," Lichtenfeld said. In fact, the International Agency for Research on Cancer, part of the World Health Organization (WHO), found "no conclusive evidence for a carcinogenic effect of drinking coffee," he noted. And in 2016, coffee was actually removed from the WHO list of cancer-causing agents, Lichtenfeld added, "meaning it's safe for human consumption." The 1986 California law behind the coffee-shop ruling says that businesses must warn consumers about chemicals that cause a significant cancer risk—but "significant" is a very elastic term open to wide interpretation, according to Lichtenfeld. "There is not enough evidence to suggest that acrylamide in coffee is something that would 'significantly' increase one's risk for cancer," he said. Of course, reducing everyone's odds for cancer to zero would be wonderful, "but there are issues that are much more pressing that have a known impact on human health, and I don't think acrylamide falls into that category," Lichtenfeld said. On the other hand, recent studies have supported coffee's potential health benefits, including reducing the risk for some cancers, he noted. Dietitian Samantha Heller agreed, pointing to evidence that a cup of morning joe might actually be good for you. "There are many health benefits associated with drinking coffee, including a reduced risk of cardiovascular disease, type 2 diabetes and certain cancers," said Heller, who's senior clinical nutritionist at New York University Medical Center in New York City. And she reasoned that if coffee did cause cancer, you wouldn't find out about it from a judge—it would have been obvious for years. Approximately 64 percent of Americans drink coffee daily, Heller pointed out. It's reported that each coffee drinker in the Netherlands consumes about 69 gallons every year. Canadian and U.S. coffee drinkers consume about 40 gallons and 30 gallons per person per year, respectively, Heller said. "You do not see people in these countries dropping like flies because of the coffee they drink," she said. "The science behind the cancer-coffee-connection in humans is tenuous at best," Heller said. She thinks the recent focus on coffee is misplaced and distracting. "I could only wish people would get as fired up about not eating foods that research has shown do have strong associations with certain cancers, such as processed and red meats, and eat foods like vegetables, fruits, nuts, grains and beans that help reduce the risk of cancers and other chronic diseases," Heller said. More information: J. Leonard Lichtenfeld, M.D., deputy chief medical officer, American Cancer Society; Samantha Heller, M.S., R.D., senior clinical nutritionist, New York University Medical Center, New York City. There's more on coffee and health at Harvard University School of Public Health. California may slap cancer warning on coffee, but should java lovers panic?